A spacious bunkhouse for the kids, a bath and a half, plus an outside kitchen are the perfect features for the outdoor enthusiast and his family. 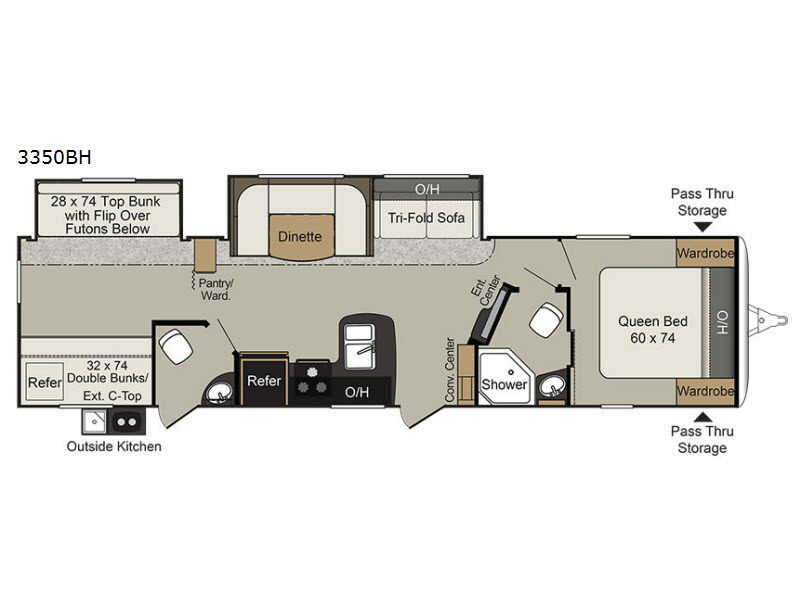 You can only imagine how much fun you will have hanging out at the campfire, hiking the trails, and playing games inside on the U-shaped dinette. 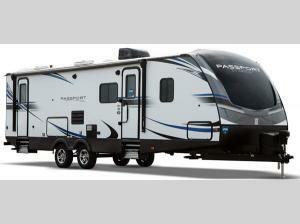 This Passport 3350BH Grand Touring travel trailer offers plenty of walking around room thanks to the dual slides and two exterior entry doors. The cook has the choice of making meals inside, or outside on the outdoor kitchen. The convenience center inside the main entry, the storage throughout, and the exterior pass-through compartment allows you to carry all of your gear, plus some! If you are seeking a spacious RV with plenty of sleeping space for nine to ten sleepy campers, and enjoy the convenience of your own private bathroom, step inside today.